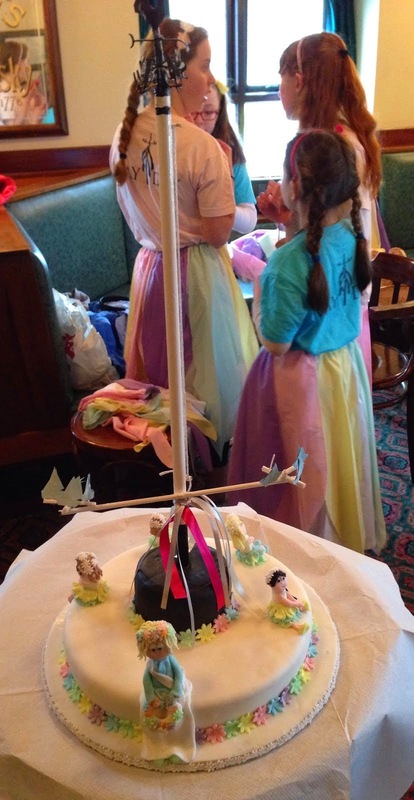 Holywood celebrated the recent refurbishment of the Town’s historic Maypole on May Day by unveiling a commemorative cake thereby recreating a previous cake cutting event from yesteryear. Local company Kenley Kakes kindly baked a beautiful cake complete with a Maypole which was then unveiled by me as Mayor alongside the May Queen and all the Maypole Dancers in the Maypole Bar which was first licensed in 1857 and has only ever had three proprietors. With early maps showing a Maypole standing on it’s current site since the 1620’s I was delighted to take part in this event to celebrate recent refurbishment work with the iconic weather-vane re-appearing on top of the Maypole, as requested by Alderman Ellie McKay. May Day in Holywood is always a special day due to the range of events, stalls and activities taking place made extra special by the Maypole Dancing around Ireland’s only remaining Maypole. I am truly grateful to Kenley Kakes for providing such an excellent cake which was admired by many. I look forward to enjoying the cake and admiring the newly refurbished Maypole which I hope remains for all to enjoy for many more years. Whilst the wet weather might have dampened some runners Belfast Marathon experience it didn’t affect those dancing around Holywood's Maypole who endured the wet weather with a smile. It was great to see so many people enjoying the range of stalls, events and activities across the Town with the nearby Folk & Transport Museum also attracting large crowds as they celebrated the Folk Museum’s 50th Anniversary. I remain truly grateful to Holywood District Community Council for the work undertaken alongside Council officers to make the day a success, proving that by Working as One we can deliver a great experience for everyone. 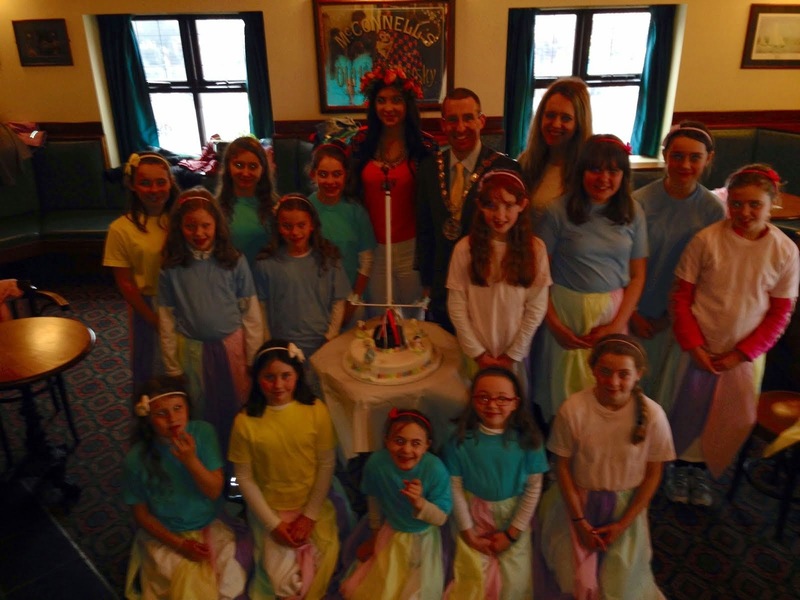 Thanks also to the May Queen and the May Pole dancers for helping to ensure another memorable May Day.